Setup your tables and waiter messages. You can also setup a digital menu. the Menisto QR-code in the restaurant. 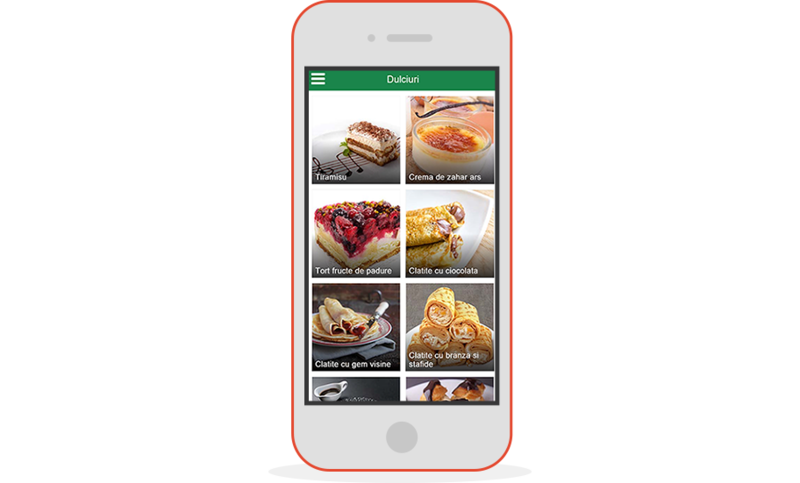 With Menisto clients can view the menu and send the order from their smartphone. This will optimize the order process and the client can "browse" the digital menu any time. At rush hours, when the restaurant is full, Menisto will satisfy impatient clients. Therefore, you can serve more clients with the same staff and avoid complaints resulting from a slow service. Menisto is designed to work on any smartphone, tablet or PC. The client doesn’t have to install an application to use it, Menisto requires only a web browser. 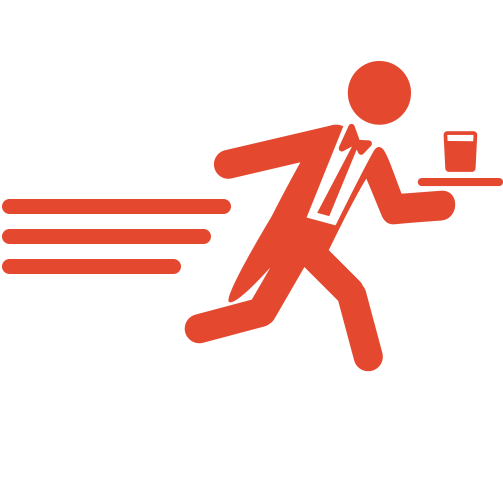 Menisto combines the latest web technologies (HTML5 + CSS3) with a Cloud hosted solution to offer a unique experience. Menisto implementation does not require any additional costs with equipment. Since Menisto is easily accessible on any mobile device, you don’t need an additional investment for its use. Clients can use their own smartphone or tablet to use it. Menisto runs on any smartphone regardless of operating system. It helps to serve more clients during rush hours. Our clients experience a revenue increase. Viewing statistics and graphs for your client activity. 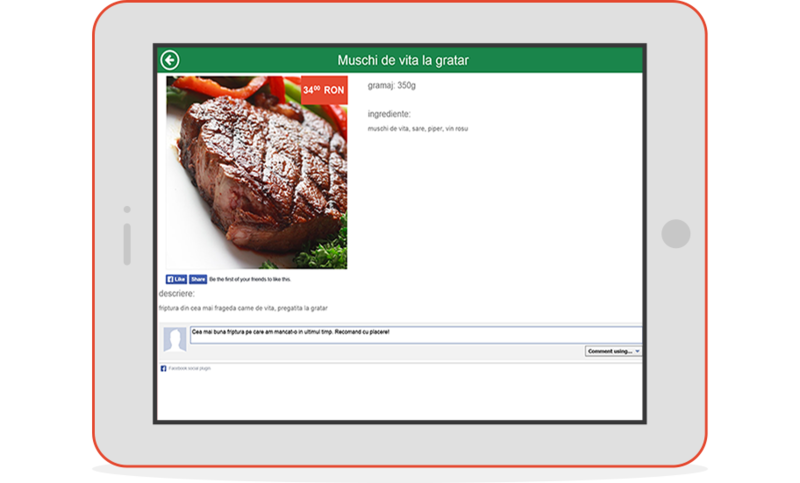 The products from the menu can be shared on Facebook. Menisto can be updated/configured online in just 5 minutes. Clients get access to discounts or gifts. Menisto is always online due to its Cloud storage capability. Choose the right package for your business. Demo for Administration and Client Area. the tables and menu administration. your clients can use a digital menu. With Menisto clients can view the menu and send the order from their smartphone. 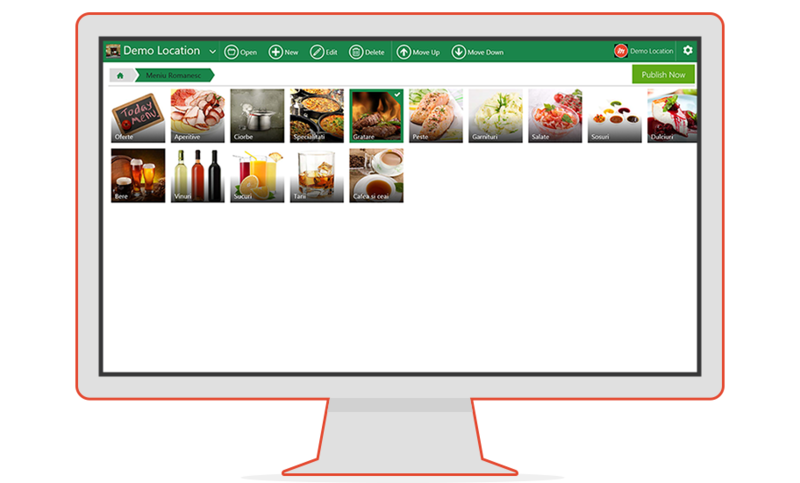 This will optimize the order process and the clients can "browse" the menu any time. If you manage a restaurant, a bar, a fast food or a coffee-shop, Menisto can add value to your business. Copyright © 2015 Menisto Software S.R.L. All rights reserved.